This is a few days late but still cool. The website Amazing Stories has an interesting article online called "Illustrating Barsoom" that talks about the various artists through the decades who have offered up their own versions of Edgar Rice Burroughs' world, along with some nice pieces of work. 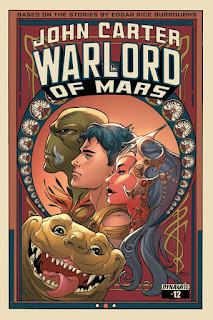 Go over to http://amazingstoriesmag.com/2015/05/illustrating-barsoom/ and take a peek.